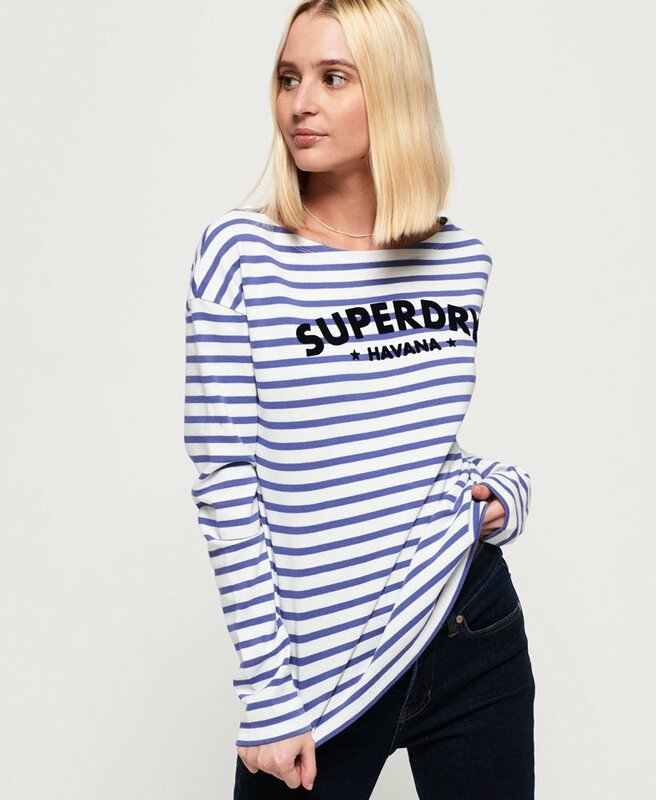 Superdry women's Havana long sleeve top. Boasting a soft cotton finish this long sleeved top is perfect for pairing with your favourite pair of jeans and trainers for an on trend look this season. Completed with a textured Superdry logo across the chest and a metal Superdry badge above the hem.